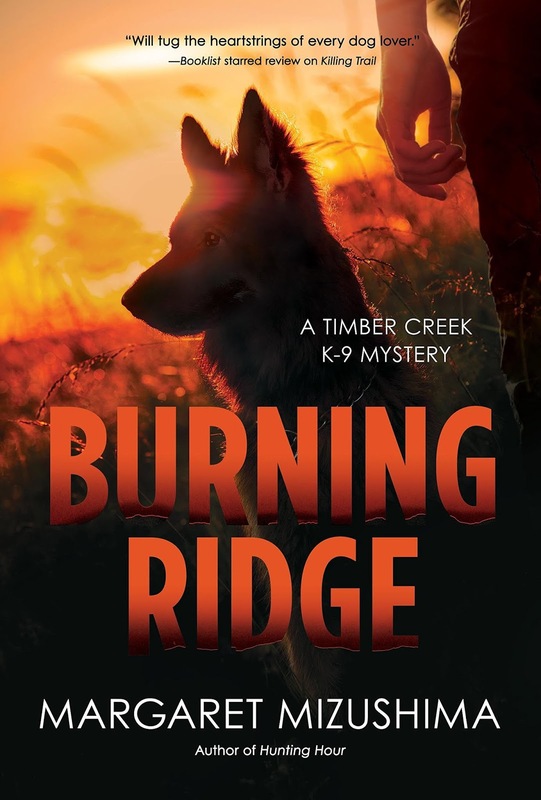 Burning Ridge is the fourth book in my Timber Creek K-9 mystery series that features Deputy Mattie Cobb, her patrol dog Robo, and veterinarian Cole Walker. 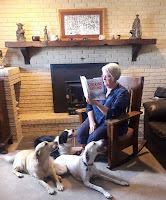 Years ago, before I began the research for this series, I knew I wanted to write a mystery that included two things—a Colorado mountain setting and a veterinarian who ran a mixed practice (one that serves both large and small animals). As I started to flesh out the myriad details that make up a book, I realized I needed to make decisions about things that I knew, and things that I didn’t know. I’ve been married to a veterinarian for over thirty-six years, so I know that life. I’ve also assisted my husband countless times during after-hour emergencies, so I’ve observed his work. When we made stable calls, I noticed that everyone wanted to watch him take care of the animal, and I hoped that readers would feel the same way. So I pulled from my experience to create veterinarian Cole Walker, and I fashioned some of his traits after the vet I live with: his workaholic nature, his love for dogs and other animals, the way he runs his rural practice. But then I hit a wall. I wanted to write a police procedural, not an amateur sleuth mystery, so this book could not exist with a vet alone. I needed another protagonist, one involved with law enforcement. My husband and I had trained dogs for Search and Rescue, so again I knew how to do that work. But K-9 handling and training? Not within my realm of experience. Lucky me, my husband connected me with one of his clients who trained patrol and protection dogs, and that helped me discover what I didn’t know. My husband’s client allowed me to shadow him while he worked with K-9 handlers and their dogs. I observed training a dog to bite and hold a fugitive who wore a bite sleeve on his arm, training to track and find a person hidden within a structure, and training a dog to release a bite or abort an attack. This last skill is not exactly a dog’s favorite, and it appeared hard to train. When a dog is charged up to bite, that’s what he wants to do. I attended police dog trails to watch dogs compete in obedience and agility performance. A friend who is a retired K-9 officer/trainer used to compete in trials like these, and she allowed me to shadow her while she trained her German shepherd in two other skills—evidence detection and following a scent trail. She also shared tales of one dog’s prowess, her late partner named Robo who was nothing short of a wonder dog. She had cross-trained him to do almost everything in the book, and I gained her permission to use his name in my series. Finally, in order to write accurate law enforcement procedure and not stray too far off track, I connected with a retired deputy sheriff who once worked in a mountain setting similar to my fictional Timber Creek, and he reads my manuscripts before I submit them for final edit. It’s amazing the things my characters do wrong during first drafts—thank goodness he keeps them on the straight and narrow! My experience is nothing new. Authors typically combine what they know and what they don’t to create characters and plot. A novel is a perfect beaker in which to mix fact with imagination, stir, and then see what erupts. 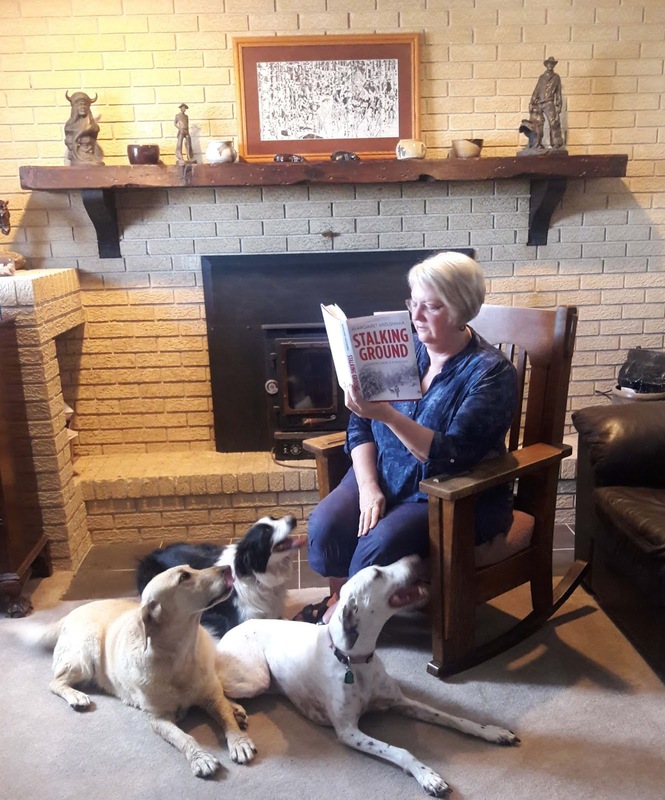 Margaret Mizushima lives in Colorado where she assists her husband with theirveterinary practice and Angus cattle herd. Margaret Mizushima is also the author of Killing Trail, Stalking Ground, and Hunting Hour. I love the series and look forward to the upcoming book.